A number of City departments are involved in the logistics necessary to produce a safe and successful community event. In addition, the City requires permits and approvals before an event may take place. In an effort to simplify the application procedures for community event organizers, the City of Dublin has prepared this guidebook. The staff of Community Events is available to answer your questions to ensure a successful event. Please note that the event organizer is responsible for fees and wages for all City services and staff as determined by the Permitted Events Committee. The event organizer may also be charged a rental fee for use of City facilities and an additional fee for lost or damaged City property. Upon approval by City Council, Dublin’s Hotel/Motel Tax Fund may be available to help offset these and other costs associated with your event, should you choose to apply. Please feel free to call Community Events at 614.410.4510 once you’ve had the opportunity to review the following information. Every individual or organization who intends to hold a Community Event as must submit an Application to the Division of Community Events at least 90 days prior to the scheduled event, unless exempt by law. Events that are held on City property that intend to serve alcohol must submit their initial application 120 days in advance. Waivers to required time periods may be granted by the Director of Community Events or designee for extenuating circumstances. After the receipt of the Application, an Event Committee meeting may be scheduled. Attendance at the Event Committee meeting is mandatory and must include a person who will be responsible on-site for setup and event operations. A Community Event is defined as: Any festival, concert, parade, sporting event, public performance or announced public gathering held on a public street, right-of-way or public property. Events in which the public is invited on private property which may affect public safety, health or welfare by their impact on surrounding public or private property may be deemed a community event. A private, invitation only event such as weddings or private party would not constitute a community event and would not require a permit unless it would affect public safety, health or welfare. The Permit Application must contain no false or misleading information. The event is produced by a not-for-profit organization or primarily for the benefit of a not-for-profit organization. Exceptions are those events covered by the Community Celebration definition or others as approved by the City. The Permit Application must be completed and returned to Community Events division within the required time frame and no waiver from this requirement has been granted. The conduct of the event will substantially interrupt the safe and orderly movement of other traffic contiguous to its route. The conduct of the event or the number of events scheduled during the time period will require the diversion of so great a number of other City employees, such as Police, Parks or Streets & Utilities staff, that adequate staff would not be available to complete City assignments. The concentration of persons, equipment, vehicles or animals at the event or assembly sites will substantially interfere with adequate fire and police protection of, or emergency medical service to, areas near such sites. The conduct of the event may result in violence to persons or property, causing serious harm to the public. The event is to be held for the primary purpose of advertising a product, goods, or service. The event site or route will cause too great a disturbance to surrounding residents and businesses, or has been used frequently. The date or location of the event is in direct conflict with an existing event. Any proposed use of public property, right-of-way, or facilities will unreasonably interfere with normal use of the property, right-of-way, or facility by the City or the general public. Past events held by applicant cause concern about the likelihood the event would follow City of Dublin policy and regulations. The event will not have a net positive benefit or impact on the Dublin community. The Manager or designee may grant a permit, grant a permit with conditions, or deny a permit within 10 business days of the meeting or receipt of initial application if a meeting is not required. Permits will be issued within one week (5 business days) of the Division of Community Events receipt of proof that all conditions have been met. In some cases a conditional permit may be granted if all materials have not yet been received. A Community Event Permit may be revoked before or during an event at the discretion of the City Manager or designee, the Director of Community Events or Senior Safety officer onsite when the health or safety of the public is threatened by an emergency, disorder or other unforeseen condition that has arisen. If a Community Event Permit is revoked, the event must be cancelled and activities must be terminated immediately. No refunds of fees paid prior to event will be refunded. Events will be responsible for paying fees on any services incurred. All appeals must be presented in writing to the City Manager and he/she will respond within 5 working days. Nothing contained in this document shall prohibit the authority of any officer to arrest a person engaged in any act or activity granted under this policy, if the conduct of such person violates the laws of the state, provision of this Code, or ordinances of the City, or unreasonably obstructs the public streets and sidewalks of the City, or if such person engaged in acts that cause or would tend to cause a breach of the peace. The granting of any Community Event Permit required by this policy shall not eliminate the requirements for any business license or any other permits which may be prescribed by any other federal, state or local statutes, ordinances, rules or regulations; or compliance with any other applicable federal, state or local statutes ordinances, rules or regulations. If the event organizer requests City services and/or equipment or if the Permitted Events Committee has determined that City services are necessary to hold a safe and successful event in the City of Dublin, the event organizer will be invoiced for those services at the conclusion of the event. City Council reviews all fees on a yearly basis. A nonbinding estimate of the cost of City services and equipment will be provided to the event organizer after the initial meeting with the Permitted Events Committee. After the event, the City of Dublin and/or the Division of Police will send the event organizer an invoice(s) outlining the cost of the services provided by the City. The final amount due could be affected by weather, changes made by the event organizer, crowd size and other factors. Payment is due upon receipt. In some cases, a deposit may be required. The following fees for applications/permits have been set. $72.10 – City of Dublin/Washington Township Tent Permit – Application (PDF) Process (PDF) Up to 5 tents. Fees vary – Hydrant usage (PDF) Dublin and City of Columbus permit/fees required. Event organizers may secure park shelter houses, pavilions, or amphitheaters by calling Community Events at 614.410.4510 For details on facilities, visit: https://dublinohiousa.gov/recreation-services/facility-reservations/. Please reserve space for your event as early as possible. Permit holders not returning the park(s) in the same condition as it was secured before their event shall be billed for clean up or repair services as recommended by Parks staff, at a rate of $110/hr. plus any additional costs for repairs. A Community Event may require equipment that may or may not be available from the City. Sandwich boards (30” x 36”), barricades, and No Parking signs may be provided by the Streets and Utilities department for a fee. The fee will be determined by the time required for delivery, setup and pickup. A minimum of 3 hours may be charged for each staff member required for services, at a rate of $110/hr. If the mobile stage (Showmobile) is requested, an application for use is required (Word). If a business or individual that has contracted for a special duty officer wishes to cancel the job, notification must be made to the Division of Police or to the officer directly at least one hour prior to the scheduled start of the job. If neither the Division, nor the officer is called to cancel the job or cancellation has been made less than one hour prior to the scheduled start of the job, the business or individual contracting for the special duty officer will be billed for 3 hours “show-up” time for all officers scheduled to work. 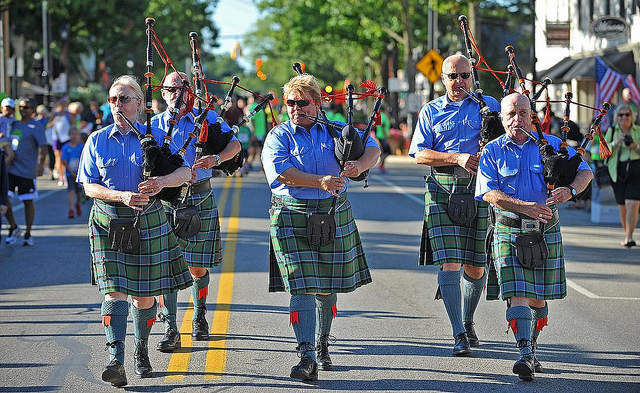 A Hotel/Motel Tax or “Bed Tax” fund has been created to offset the costs of qualifying community events. It is distributed on a first-come, first-served qualified basis on the recommendation of the Finance Committee with the approval of City Council. Applications for monies must be received by the granting deadline, which is generally once a year in late fall. For more information, contact Deputy Director of Finance, Matt Stiffler at mstiffler@dublin.oh.us, 614.410.4441. Fee waivers for the rental of the showmobile may be made at the discretion of the City Manager or designee to a maximum of $750. For waivers or adjustments in excess of $750 the City Manager may recommend waivers or fee adjustments to City Council pursuant to the provisions of Ordinance 33-95, Section 4. Event organizers will be responsible for any and all damages caused by or related to the event. 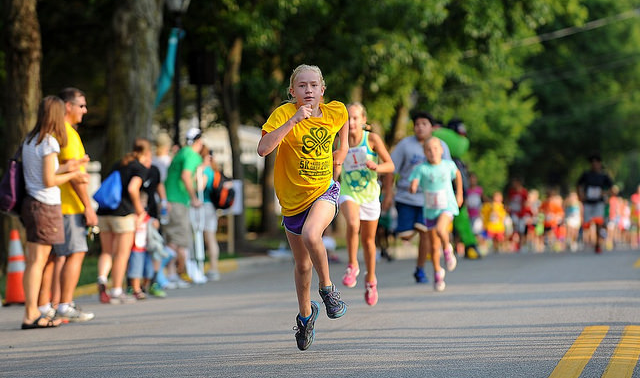 If the event is held on any property not owned by the City of Dublin or the sponsoring organization, the organization must submit proof of permission for use of property. The sponsoring organization, permit holder or host establishment may be required to obtain a comprehensive general liability insurance policy (PDF) for bodily injury and property damage arising from the event. This will be at the discretion of the City of Dublin Risk Manager. The City, in its sole discretion, may waive the insurance requirement. It may also be waived when it is necessary to comply with any federal, state or local law, stature, regulation or constitutional provision. The Hold Harmless-Indemnification Agreement in the Initial Application must be signed by an authorized representative of the sponsoring organization. 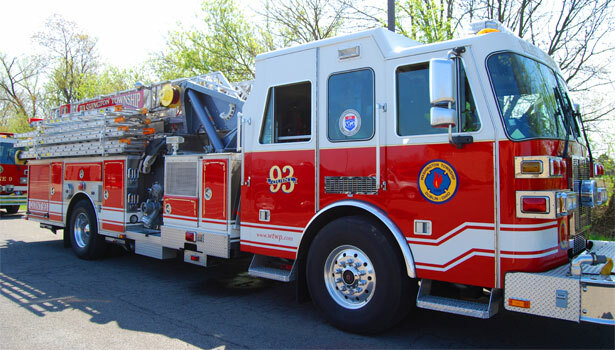 The Washington Township Fire Department will identify general first aid and emergency services issues to consider at the community event and, at their sole discretion, will determine the amount of service required for safe operation of the event. Washington Township Fire Department may provide on-site first aid services for a fee determined by the Township. The event organizer is responsible for making arrangements for first aid and emergency services to be provided on-site. The Dublin Police will identify general security issues to consider at any community event and will, at their sole discretion, determine the amount of police required for safe operation of the event. A private security company may be hired for events on private or public property, but the plan and suppliers of services must be approved by the Division of Police. Sworn law enforcement officers or other approved City staff will be required if they will be posted in streets or roadways. Events should have a plan in case of extreme weather or other threats. Events are encouraged to share these plans with both Police and Fire departments. Approval for use of City streets, alleys, sidewalks and parking lots for events will be included in the permit process. The committee will review: resident/business impact, detour routes, signage and notification, set up of barricades and directional signage, traffic control and safety. The event organizer is responsible for maintaining a minimum 12-foot wide fire and emergency lane through all areas. If roads are to be closed or access to certain residents or businesses is restricted, the event organizer is responsible for preparing, printing and distributing a notification letter to all affected residents and businesses 15 to 30 days prior to event. Letter and distribution list must be approved by Community Events Division prior to being delivered. Event planners are required to provide a detailed parking plan that will accommodate number of guests expected. Events using private lots must obtain and provide the City with written permission from the owner of the lot. If a shuttle will be used, application must indicate the route, and pick-up/drop-off points. Approval for vehicles to park or drive on sidewalks, bike paths or City-owned property will be included in the permit process. If parking in an area not lined for parking, Event must ensure there is adequate access for safety and fire vehicular access. City Staff can revoke permission to use any City-owned grass lots if it is determined that the field will be caused excessive damage due to weather conditions. Dublin may require any outside shuttle contractor to provide proof of insurance. The use of signage for events is regulated by the sign ordinance, specifically in section §153.156. Event applications must include location and description of all off-site signage. Events shall be entitled to a maximum of two off-site promotional signs and six directional signs. On-site event signage is to be used ONLY for the duration of the event and during permitted setup and tear-down times. Off-site signage shall not contain any commercial advertising. If an organization is sponsoring the event, the name only (no logos) of the organization may be used on promotional signage. Off-site promotional and directional signs may not exceed six square feet in area and three feet in height. Off-site promotional signs shall not be displayed more than seven days immediately preceding the event and shall be removed no later than 24 hours following conclusion of the event. Directional signs shall be installed no more than 24 hours immediately preceding the event and shall be removed within 24 hours following conclusion of the event. No more than three colors shall be included on off-site signs(s), including black and white. Off-site signs shall not be illuminated. Prohibited sign locations include: any public right of way; any location where the view of approaching and intersecting traffic would be obstructed; any private property sites without prior written authorization granted by the property owner; any site along the State Route 161 median strip. The event organizer is responsible for providing adequate restroom capacity including restrooms for people with disabilities. These may include portable restrooms when permanent facilities are not available or deemed not adequate by the Permitted Events Committee. The City must approve locations of any temporary restrooms. 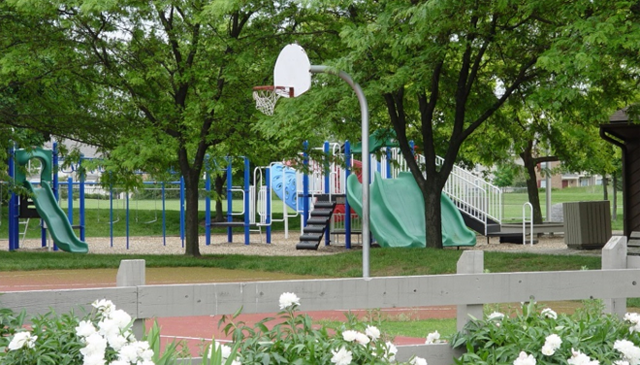 Restrooms in City parks and facilities will be cleaned, repaired and maintained by City staff. Fees will be incurred for this service if it is determined that use will cause need for cleaning and repair that is not in the normal routine. The fee is $110/hr. for staff with a 3 hour minimum. Events are responsible for maintaining the venue in a clean and orderly condition both during and after the event. Events are required to remove all trash from City property and may be required to rent a dumpster. The City must approve locations of any rental dumpsters. The cost of any litter clean up beyond normal daily routine will be charged to the event. 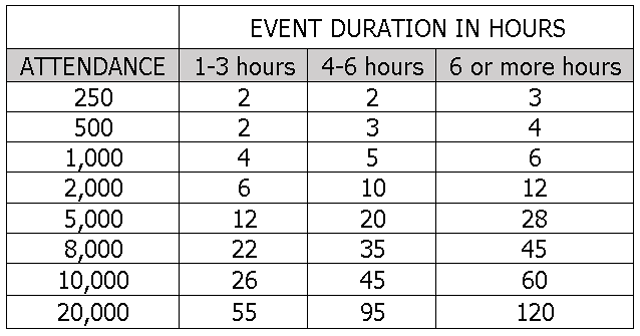 The following formula will be used as a guide only; the committee will make final decisions based on each specific event needs. Events are required to have a plan to handle recyclable materials, grey water and grease removal. No grease or grey water will be dumped on City property or into City waterways. Hazardous materials are prohibited from entering the trash for disposal at a sanitary landfill. It is the responsibility of the event organizer to identify proper disposal options and utilize them. Some sources for free events trash and recycling boxes are SWACO (PDF), and Kroger stores. All event materials must be removed from park within 24 hours of event conclusion, unless otherwise agreed upon, to include tents, dumpsters, portable restroom, etc. According to the City Ordinance, § 132.03, sound emanating from permitted community events will receive an exception to the ordinance. The Permitted Events Committee can place certain requirements on sound emanating from events, including specific times of operation and overall sound level. Events must indicate on their permit the types of noises that will result from their event. Permission for event may not be granted if the noise will be deemed to cause too much inconvenience for surrounding neighbors and/or businesses. The Dublin Division of Police and/or the City Manager or designee has the ability to cancel activities at any time if, at their sole discretion, the sound caused by an event is causing an unreasonable burden on surrounding residents or wildlife. If sound is expected to disrupt local residents or businesses, the event organizer is responsible for preparing, printing and distributing a notification letter to all affected residents and businesses at least 15 to 30 days prior to event. Letter and distribution list must be approved by Community Events Division prior to being delivered. Tents 400 square feet or larger will not be erected, maintained or used without a permit from the City of Dublin and Washington Township Fire Department, depending on size and purpose of the tent. Fees will be set by the responsible authority. Inspection times must be arranged prior to the event. Submittals requested 10 days in advance of event. Drawing submittals are required for the City of Dublin Permit. Tents may be staked on City property, but it is the responsibility of the event organizer to contact Ohio Utilities Protection Service (OUPS). OUPS must be contacted at 800-362-2764 at least 48 hours before tents are erected to mark area utilities. A permit for temporary structures (stages, etc.) must be secured through Dublin Building Standards. Event organizer must submit layout drawings of the event site attached to the Community Event Permit Application, or at a minimum of 30 days in advance of the event to Dublin Building Standards. Information required includes location of structure or modification of any building or structure. Drawing submittals are required for the City of Dublin Permit. Events must contact Dublin Building Standards at 614.410.4670 to schedule field inspections at least 48 hours in advance of event setup. Setup must be ready for inspection by 1 p.m. on the day before the event. If the event takes place on Sunday or Monday, the structure must be set up by 1 p.m. Friday; or, after hours and weekend inspections will be billed at an after-hours hourly rate for inspections needing to take place outside of normal business hours. Dublin Building Standards and Washington Township Fire Department must inspect all amusements and attractions, such as rides, inflatables and haunted houses. All rides must be inspected, licensed by and follow all rules and regulations of the Ohio Department of Agriculture. Horseback or pony rides are not permitted. A permit for temporary electrical service must be secured through Dublin Building Standards for generators over 5000 watts. All outdoor extension cords must be 3-prong UL listed extension cords. Hard-wired electricity may be available in parks. Those with standard outlets may be used without prior authorization. In order to hook into other hard-wired electricity that may be available, prior permission must be received and will be coordinated with Parks personnel. Permission must be granted as part of the facility reservation process to use any faucets in any parks prior to usage. Most will need to be opened by a Parks staff member. Permit for fireworks displays must be submitted with payment to the Washington Township Fire Department. 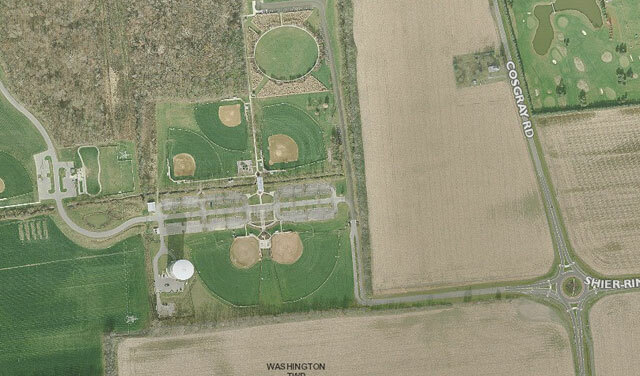 Washington Township will determine associated fees. The fire department and Dublin Police both must approve fireworks sites and security measures including storage. Events must ensure that all food and beverage services adhere to the regulations set by the County Health Department, including obtaining a permit if required. Generally food that is not being sold does not require a permit. A list of all vendors and/or caterers who will be selling or providing food and/or beverages may be required to be provided to the Division of Community Events. The City of Dublin has the right to deny permission for any vendor to sell or serve food on public property. Ohio and Dublin Fire Codes do not permit cooking inside place of assembly tents. Events must ensure that the sale of alcohol adheres to the regulations set by the State of Ohio. If the event location is on City property, a written request for the use of alcohol must be submitted to City Council for review at least 120 days prior to the event. The written request should be sent to the Director of Community Events along with the permit application if not already filed. A Special Events Liquor Permit must be obtained from the Ohio Department of Commerce, Division of Liquor Control. When received, a copy of liquor permit must be sent to the City of Dublin. If the event is sponsored or co-sponsored by the City of Dublin, or it is held on City property, they may be required to provide the committee the names of the alcohol servers. Those named may be required to attend an education session conducted by Dublin Police prior to serving. Additional cost may apply for Dublin Police to conduct training. Proof of Liquor Liability Insurance in the minimum amount of one million dollars on an “occurrence” basis, naming the City of Dublin as an additional insured may be required at the discretion of the Risk Manager. Any event that includes the sale of alcoholic beverages that is held on public property will require having Dublin Police Officers on-hand; number required and times will be determined by the Division of Police.